Here’s a concept preview of the front entry at an extensive remodel project we’re working on in Tumalo, on an incredible river-front property. Lots more to come on this one! Here’s a quick snapshot of some recent 3D studies for a new modern residence we’re design just outside of Bend. More to come soon on this one! Just a quick snap of the entry vestibule from the V House from a recent site visit. Rough framing is nearing completion on the bluff house, just in time to get wrapped-up for winter! Bluff House construction is now underway! Here’s an early view of the design for a modern custom residence soon to be under construction on Bend’s west side, at the base of Awbrey Butte. A quick teaser image for a new residence we're working on currently. Lots more to come on this one! A quick snowy update on progress at the V house in the Highlands; rough framing nearly complete! The first floor framing and site work of the V house is well underway. 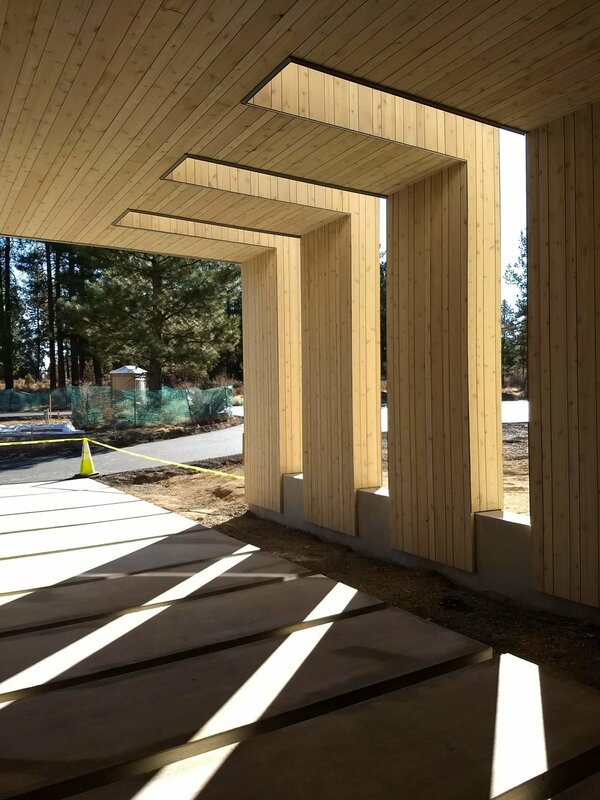 This collaborative project with Eric Meglasson is located in the Highlands neighborhood just outside Bend, on a wooded lot with carefully framed views to Broken Top. Second floor framing should start in the middle of January. Here's the first 3D image of an upcoming private residence we've designed, breaking ground this summer in the Tetherow neighborhood in Bend. 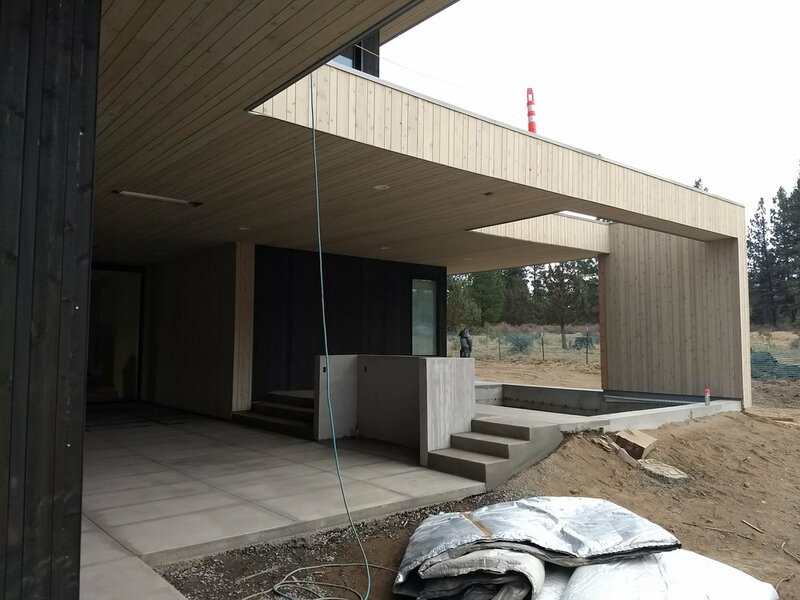 The combination of a cool, contemporary material palette (concrete, wood, metal, and fiber cement) and fantastic Deschutes national forest views should yield wonderful results. We can't wait to get this one out of the ground!